Torrent is a popular way to download stuff from the internet. Billions of people use torrent sites daily. But there are a lot of issues you have to face while torrenting. First in the list is Privacy. People are now concerned about their privacy more than ever. Your ISP might be spying on you when you’re downloading torrents. Another big concern is the speed. On many places internet speed is a major problem. If your internet connection isn’t fast enough you won’t be able to download torrents easily. Here’s the ultimate solution to all your problems. Bitport.io is a website that lets you download torrents online! Confused? Let me clarify. Through this website, you can easily download torrent files into your very own cloud storage. And then later you can download the file to your local storage from any device by just logging into your Bitport account. The best part is, if the torrent is a video, you can even stream it right from the Bitport.io dashboard. No matter whether it’s a smartphone or a MacBook, once the transfer is finished (from a torrent site to bitport), you can stream it anywhere and everywhere. Bitport has a pretty simple user interface which makes it easy for anyone to use it. 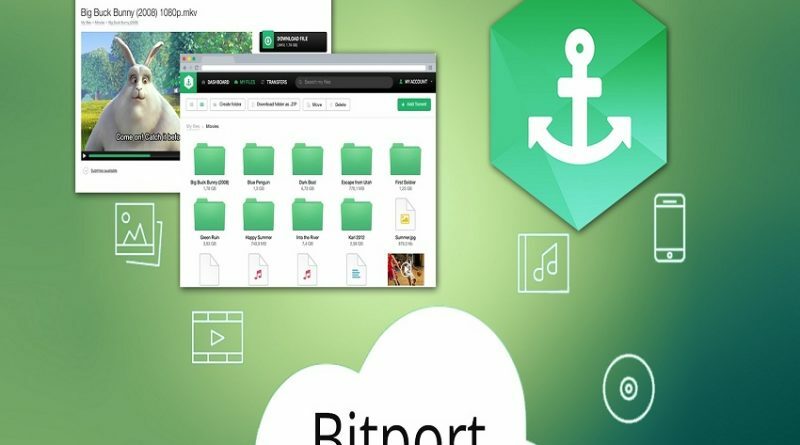 However to make it easier, here’s a step by step guide to download and stream any torrent file on the cloud using Bitport. First of all, register for Bitport. You can choose among the various plans available. And the coolest part is, there’s also a free plan in case you want a test drive. After that login to your account. Go to any torrent site and choose any desired torrent. Now just download the .torrent file or otherwise copy the magnet link. Come back to Bitport dashboard. And either paste the magnet link or upload the .torrent file. Alternatively, you can also paste the link to a specific torrent file. Next simply press Add new torrent. Now you’ll be redirected to a confirmation page where you can choose your download folder. If you want it to be downloaded in the default folder, leave it as it is. And finally, click on Start download. Then relax. The files will be downloaded automatically (even if you disconnect the internet). Downloading speed depends on many factors. If you’re downloading a file that has been downloaded by another user recently, it will be downloaded in a fraction of a second. I tested downloading a 250 Mb file and it took around, umm, the time it takes to click the left mouse button (half a second, maybe)! After the file is downloaded you’ll get an email notification (unless you didn’t turn that option off in the settings). The downloaded files will be available in the My Files tab on your Bitport account. You can now download the files to your computer (local storage) or simply stream them if you want to. To download any files, just hover over the file and click on the download button at the right top corner. That’s it. So that’s how you can download and stream torrents on cloud storage. Here’s a detailed Bitport review. I’m using the Bitport from a past few days. And the experience has been smooth as butter. Bitport is going to be the future of torrenting. It solves three major torrenting problems easily. First, the portability. Sometimes when you download torrent files on your computer, you need to transfer them to your smartphone (or the vice versa). Why u no leave that to Bitport? If you use Bitport, the files are directly downloaded to your cloud storage which can be later accessed from your smartphone, local cyber café or some hotel room in Las Vegas (as long as you have access to your Bitport account). Second, the speed. You can’t easily download torrents on a slow connection. In areas with a sluggish connection, Bitport can be a life savior. I used it in a dull-as-hell internet and it really worked. Plus Bitport.io is light and loads pretty quickly. Third, the privacy. When you’re using Bitport your connection is encrypted (i.e. secured). And you’re not storing downloaded files on your local storage. You’re keeping them in a cloud storage. So your hands are kind of free. Torrenting isn’t illegal, but downloading copyrighted material is surely equivalent to piracy which, unfortunately, is a crime. Bitport is very strict about that and they DO NOT allow illegal downloads. Another big thing I liked about the Bitport is their pricing options. As you can see from the pricing table below, their service is really affordable. And moreover, they also have a free trial plan. So you can try out their service and later upgrade to premium if you like it. And mark my words, you WILL love it. Here’s a brief overview of its features and pricing. For more detailed information check this link. As someone has said — There’s no perfection. Who is perfect? Where is perfection? Obviously, Bitport has some drawbacks, just like any other service. So here are a few Pros and Cons about Bitport. 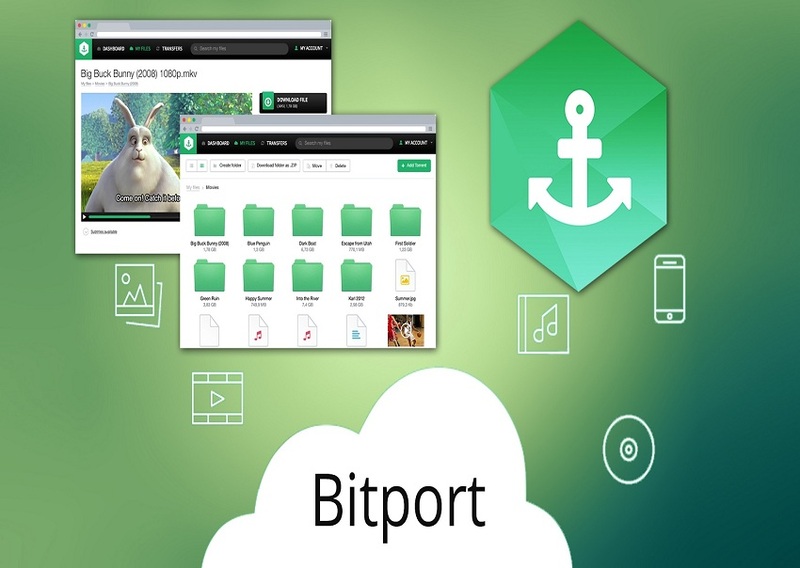 Bitport is really a useful tool for torrent lovers. And probably the best tool available out there to download torrents on cloud within this price range. One of its competitors, Put.io offers the same kind of service (with higher storage options), but that is damn more costly. Besides, they don’t have a free package. So here’s the complete Bitport review. It’s undoubtedly one of the best in its field. Also, the cost is truly affordable.